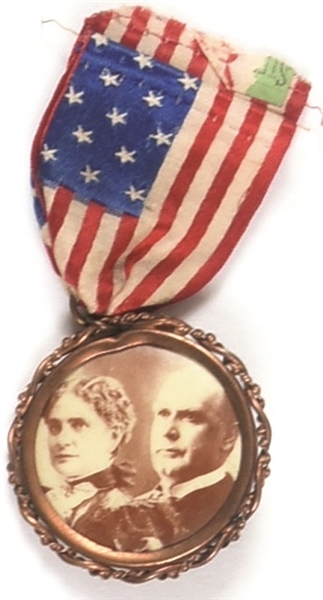 William and Ida McKinley were a true love story that was shaped by Ida’s epilepsy and how Bill cared for her. The scarce framed celluloid 1 3/4 badge pictures the McKinleys and is attached to a ribbon. Missing pin that originally was attached to ribbon at top, the celluloid does have a pin and Lapham and Co. of Chicago back paper.